Fast Track Fitness | Top 20 Nutrition Trends- Foods that are HOT right now! Fast Track Fitness > Nutrition > Top 20 Nutrition Trends- Foods that are HOT right now! Top 20 Nutrition Trends- Foods that are HOT right now! Every year we hear about the next big nutrition trends that will help us lose weight and be healthy. We love it! This buzz creates excitement and hope for so many people. When this information goes viral we all pay attention! The marketing machine of the health and food industry get involved, and we see our favorite pop stars and movie stars rave about these foods like they are the holy grail of health. Before we know it we are adopting nutrition trends that favor certain types of foods and habits. Let’s examine what is HOT at this present moment. Nutrition trends come and go but good food choices last a lifetime. Gluten free: These foods eliminate gluten typically found in bread, pasta, cookies, and cakes. Eating gluten free is especially helpful for people struggling with celiac disease. They can also be good for people who are highly sensitive to gluten which can relieve bloating, cramping, and pain with their digestion. If you discover that gluten makes you sick and you remove it and you feel better then this is paramount to your health. However, just because a product is gluten free does not mean that it is necessarily healthy or great for weight loss. Gluten free living does not give us free reign to eat garbage food. A gluten free product that is highly processed, with preservatives and sugar is not healthy. I often see gluten free desserts such as cookies that are marketed as healthy. Not really the case for all people. Don’t give yourself an excuse to eat this junk food often. Sorry gluten- free you have been given way too much credit as the saviour of nutrition. You have an important role but don’t overstep your boundaries! Kale: This green vegetable is very high in beta carotene,vitamin K, Vitamin C, and calcium. It also is a source of two caratonids lutein and zeaxanthin. No question this is a very nutritious food with perhaps anti- cancer properties. This can be served as a side vegetable either steamed, stir fried, or dried in the form of kale chips. However, many other green vegetables such as collard greens and spring greens have similar nutritional qualities. Also, it is important to realize that a variety of foods coming from a spectrum of colors will provide you the best overall health benefit. Colour your plate with green, purple, orange, yellow, and red. It’s tough to go wrong with green vegetables but it’s always nice to see the bigger picture. Coconut water: It’s the fluid inside coconuts, which are grown on trees in tropical areas of the world. Coconut water is naturally refreshing and has a sweet, nutty taste. It contains easily digested carbohydrate in the form of sugar, and dietary fiber. Additionally it provides plenty of vitamins, minerals,and antioxidants. Some of these key ingredients are potassium and magnesium. This drink is sold in grocery and health stores as an electrolyte sports drink. It is a great way to have a low sugar and calorie drink and stay hydrated for people who enjoy the taste. It is problematic to use coconut water as a replacement for a sports drink if the aim is endurance sports and activities for 2 or more hours. Simply, the drink does not have enough carbohydrates to help restore our blood sugar levels from prolonged activity. Coconut Oil: This mainly saturated fat is extracted from the meat of coconuts. It is used especially when frying foods and the virgin coconut variety has become very popular with natural health and vegan lifestyle circles. The smoke point of this oil is 350 F so it is important not to cook at extreme heats to prevent burning. The majority of the fat is medium chain triglycerides. Bottom line this oil has been shown to improve skin health, and perhaps even improve brain health. Don’t be scared of fats they are vital to ensure optimal nutrition. Another plus is the oil will have a long shelf life since the fat is resistant to going rancid. Although this oil has lots of promise, it’s important to show love to other oils out there that may work better in lower or higher heat cooking or add a different flavour or nutritional value. Quinoa: Pronounced KEEN-WAH! This pseudo grain comes from the seeds of goosefoot plants mainly found in the Andean regions such as Peru, Bolivia and Equador. The high praise for this crop comes from the fact it is gluten free and has a high complete protein profile comparable to many other grains. In the world of vegans and vegetarians this comes in very handy, as it is difficult to find plant based nutrition complete in protein without mixing and matching various foods. 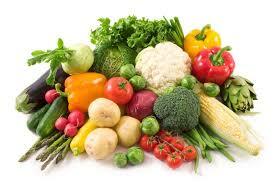 Nutritionally it is a good source of dietary fiber and phosphorous, and high in magnesium and iron. Quinoa can be found in raw or flaked form in many food varieties such as pasta, porridge, pancakes, biscuits, crackers, cookies, and soups . Always a good idea to rinse your quinoa as the seeds contain saponin a coating that is mainly removed with processing but may act as a mild eye, respiratory and gastointestinal irritant if not removed. Buckwheat and amaranth are other ancient grains that provide similar protein content so stop hogging the attention quinoa! Also the notion that quinoa is healthy and other grains are bad is so far from the truth. Many grains such as rice, wheat, barley, oats, rye, and teff have high nutritional value and can be consumed by most people. Paleo- Welcome Paleolithic AKA the Caveman diet. This diet is based on eating like our hunter and gatherer ancestors by consuming mainly meats, fish, seafood, fruits and vegetables. Exclusions include dairy products, grains, legumes, processed oils, refined sugars, and salt. Paleo diets view many healthy foods to be bad such as wild rice and kidney beans. They do deserve credit for their stance on reducing processed foods. The main flaw is there is not one way to eat for optimal health and weight loss, and we truly don’t have adequate data to support Paleo as a “best practice”. Around the world we have various areas eating differently from the next, yet still considered healthy. One rule for all does not apply here, move on! Chia seeds- Move over ch-ch-ia pets! We now have chia seeds! Chia is an edible seed that comes from the desert plant Salvia hispanica, grown in Mexico dating back to Mayan and Aztec cultures. These tiny white and black seeds are a concentrated food containing healthy omega-3 fatty acids, carbohydrates, protein, fiber, antioxidants, and calcium. Chia seeds are an unprocessed, whole-grain food that can be absorbed by the body as seeds. One ounce contains 139 calories, 4 grams of protein, 9 grams fat, 12 grams carbohydrates and 11 grams of fiber, plus vitamins and minerals.The mild, nutty flavor of chia seeds makes them easy to add to foods and beverages. They are most often sprinkled on cereal, sauces, vegetables, rice dishes, or yogurt. They also mix well into protein shakes and baked goods. These foods have been marketed as effective for weight loss which has little scientific research. There is promise that the high fiber content is effective to control digestion and appetite. They are a healthy food but then again many other seeds such as sunflower, flax, and pumpkin can provide amazing benefits as well. I recommend you eat a variety of seeds and moderate them to serve your individual nutritional needs. Lots of these are based on taste and texture so enjoy it, or move on to something that works for you. Stevia- See you later sucralose! With all the negative backlash with artifical sweeteners, stevia has grown in popularity as a “natural” herbal alternative to the artifical compounds. This sweetener and sugar substitute is made from the leaf plant species Stevia Rebaudiana. Stevia’s taste has a slower onset and longer duration than that of sugar, and it may have a bitter or licorice-like aftertaste. It can be up to 300 times the sweeter than sugar andhas attracted attention with the rise in demand for low-carbohydrate, low-sugar sweeteners. Because stevia has a negligible effect on blood sugar levels it is attractive to people on carbohydrate controlled diets, and within the diabetic community. Overall it have been deemed safe for use as a food additive and supplement. Like any herbs certain amounts can be safe, however it is important to remember it is not harmless. Extremely large doses can lead to possible toxicity like all herbs. The dailyupper limit has been recommended at 8mg/kg body weight. Enjoy your sweets! Get fit doing what you love!